Vienna RFID Phone Wallet with Strap can stick to the back side of a phone to hold your ID and Credit Card. RFID function to keep your identify safe. Limited to hold 2 cards. 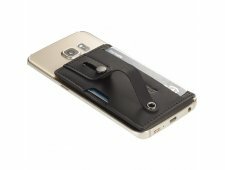 The strap is to hold your phone steady with your finger. Turn your smartphone camera into a telescope with 8x Zoom. Take the perfect long distance shot or an close up photo.. The clip fits on all major smart phones. 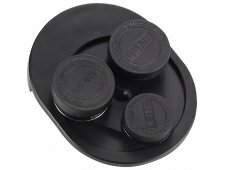 The lens kit features 4 different lens types. This include fisheye lens, wide lens, macro lens, and CPL lens (which eliminates stray light and produces a more natural image). Simply place the set on your smartphone and twist the base to try all 4 different lens. This wireless charging mouse pad is perfect for any desk. 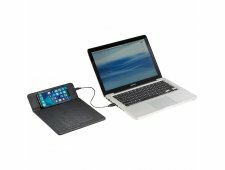 Simply use the kickstand on the back to prop up the top portion to charge your wireless charging smartphone while using the mouse pad and save desk space. Compatible with (but not limited to ): iPhone 8/8Plus/X/XS/XS Max/XR *Samsung Galaxy Note5/S6/S6 Edge/S6 Edge+/S7/S7 Edge/S8/S8+/S9/S9+/Note 9 * Google Nexus 5/6/7 * HTC Droid DNA, 8X * LG G3/G4, Lucid 2/3 * Nokia Lumia 920/930 *. If want to charge an iPhone series before iPhone 8 with wireless technology, an external wireless charging receiver or receiver case is required. It works with most plastic phone cases on. Micro to USB cable included. Ditch the old doorbell and get the Wifi Video Smart Doorbell. 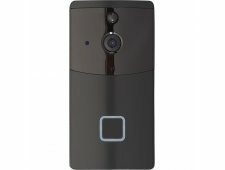 Once the Wifi doorbell is connected to your Wifi network, it will produce a live feed that allows you to see who is at the door. 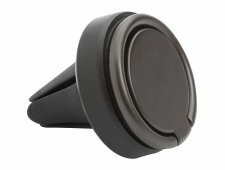 The doorbell has a built in speaker and microphone so you can communicate with your visitor. The doorbell will also start recording once the PIR motion sensor is triggered. If your visitor does press the door bell an alert will be sent your phone. Capable of taking HD videos and photographs with 720P resolution. 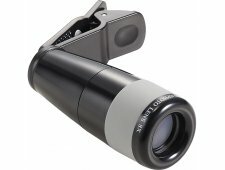 Infrared technology allows the camera to work in dark environment. Includes 2x rechargeable lithium ion batteries.